Want a printable Guide? Click Here to download a beautiful and printable Activation Guide to help you activate your child's iPhone. Watch our 3-minute Activation Video for your iPhone. Step 1 - Add your device in the dashboard by selecting "Add device" from the main screen. Step 2 - Populate a friendly name for the device, (phone number will be auto-filled after activation so you can leave it blank), select the user, and choose the device type as iOS. Step 3 - You should receive an SMS/Text message on the iPhone in the Messages app. It will have a link to the next activation step. Click the link to continue. Step 4 - You will be prompted to Install Profile, Tap the Install link on the upper right hand side. Step 5 - You will be prompted for the passcode on the device if one is set. Enter the device passcode. This is the passcode you would use to unlock the screen. 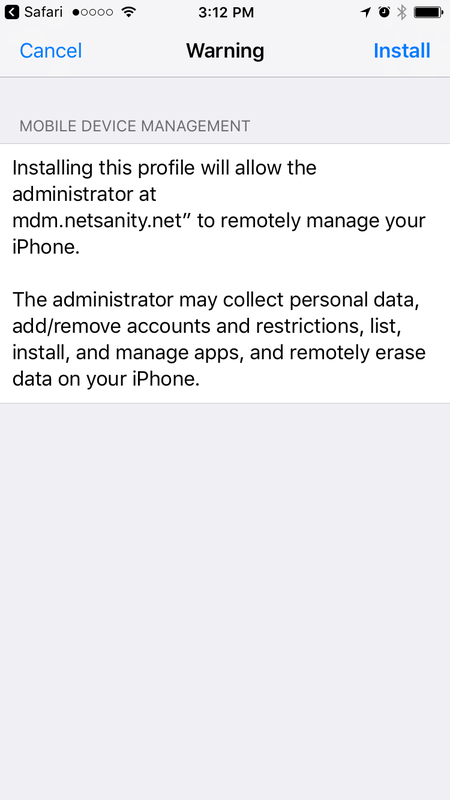 Step 7 - You will be prompted to accept "MOBILE DEVICE MANAGEMENT" this allows our service to manage your device. Tap install. 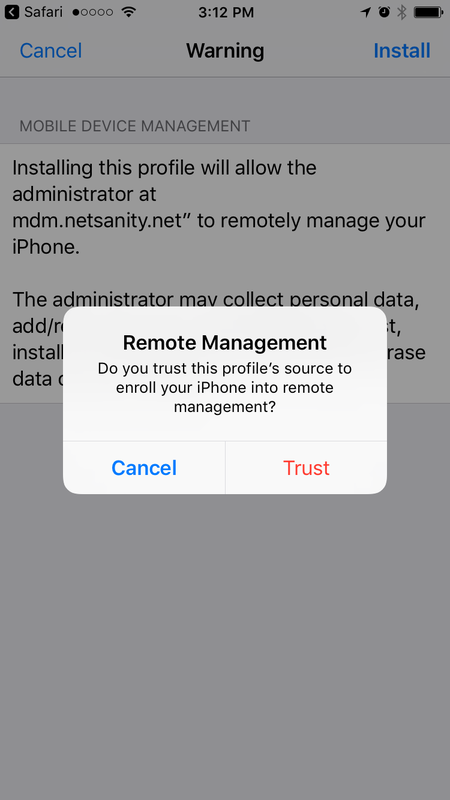 Step 8 - You will be asked if you trust our service for Remote Management, tap Trust. Step 9 - You should be notified that the profile was installed. Tap Done. 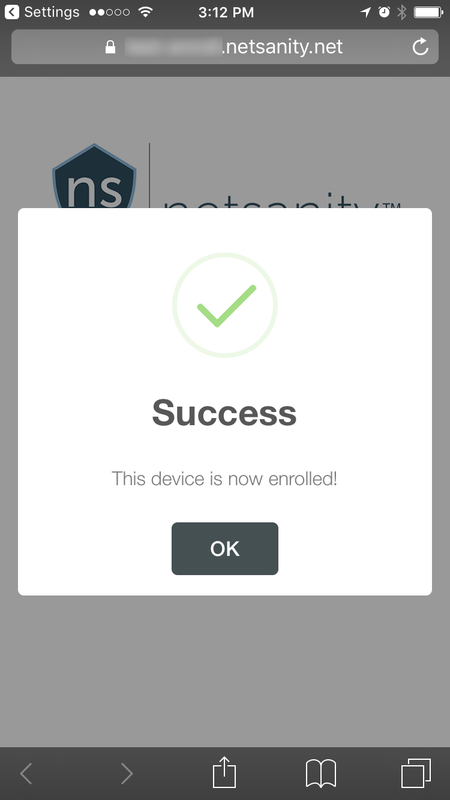 Step 10 - You should be returned to the Safari browser, and see a success notification, indicating you are now enrolled in the service. You may now close the Safari browser.